This year, Carnaby Caravan Manufacturers claim to have transformed their entire range and here’s our Carnaby Oakdale 2016 new static caravan review. Carnaby offers a host of new innovations and improvements to their finest models of holiday homes. The emphasis is on luxury and leisure time, with home comforts being given high priority at the design stages. 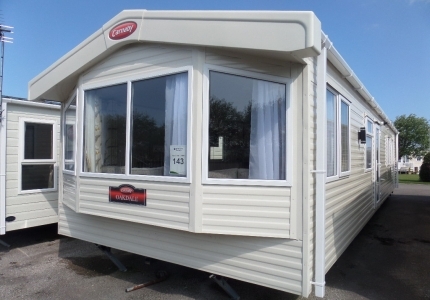 The generous specifications, contemporary styling and quality craftsmanship, has produced a static caravan that will suit every lifestyle and holiday park. Available in a range of layouts, with the basic model being 2 bedrooms at 32ft x 12ft, right up to a 3 bedroomed 38ft x 12ft model. There are numerous options for exterior finishes and colours, to blend in with your surroundings. Depending on site options and regulations, holiday homes may be clad with Timber, CanExcel, Embossed Plastic or Aluminium. There is also a wide range of exciting colours, such as Barley White, Sand and Environmental Green. 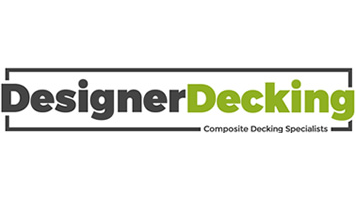 To complement the varied choice of exterior cladding, there is an option of various UPVC window finishes – Grey, Green or Golden Oak. The Carnaby Oakdale new static caravan is carpeted in the lounge area. Stunning soft furnishings, comfortable, upholstered, large sofa seating plus an armchair, with co-ordinating curtains and scatter cushions are supplied. A wood effect wall unit showcases the electric fire, with space above for a wall mounted television. There is a handy coffee table in the same wood finish to complete the lounge furniture. A stylish, contemporary kitchen, with darker worktops and chrome handles, is fitted with a modern style cooker, oven and a chrome and glass cooker hood. Stylish, family dining is offered with the complementary, wooden dining table and upholstered chairs. Space is provided for a microwave oven, fridge freezer and dishwasher, which may be optional items depending on your choice of model. All of the bedrooms have carpet underfoot and a generous range of fitted wardrobes, bedside cabinets and over-bed storage. The contemporary bedding range coordinates with the curtains. The larger models in the Oakdale range have both en-suite toilet plus family bathroom facilities, with a full size shower and ample bathroom storage units. If you would like to discover more about the new Carnaby Oakdale 2016, or any other new or used Caravans for sale in North Wales, call in to see us for a chat. Alternatively or use our Contact Form to let us know what you are looking for.